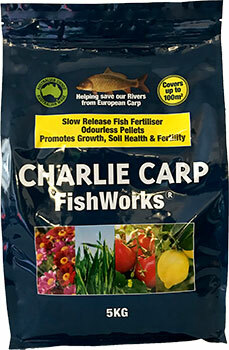 Charlie Carp Fishworks is an organically based Slow Release Fertiliser that feeds your plants, improves soil structure, encourages earthworm activity and helps with moisture retention. The only plant food made from whole European Carp, Charlie Carp Fishworks is rich in protein, carbon and other macro and micro nutrients which many other fertilisers lack. The pellets also contain natural oils from the fish which has been shown to deter garden pests and limit plant diseases. Charlie Carp Fishworks is suitable for all plants including lawns. The Odourless Pellets are easy and safe to apply by hand or mechanical spreaders. Being odourless, Charlie Carp Fishworks slow release pellets are ideal for use on indoor plants. Unlike most other organically based fertilisers Charlie Carp Fishworks pellets will allow you to enjoy the scent of your garden’s flowers. Charlie Carp Fishworks will not only feed your plants it will also promote overall soil health and fertility, for ongoing health and growth all year round. 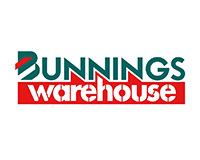 LARGER QUANTITIES CAN BE PURCHASED DIRECTLY FROM THE FACTORY. CONTACT US FOR MORE INFORMATION.